These past few months eBay auctions have been coming up with some very rare, and unique TV guides. This TV guide is no exception. 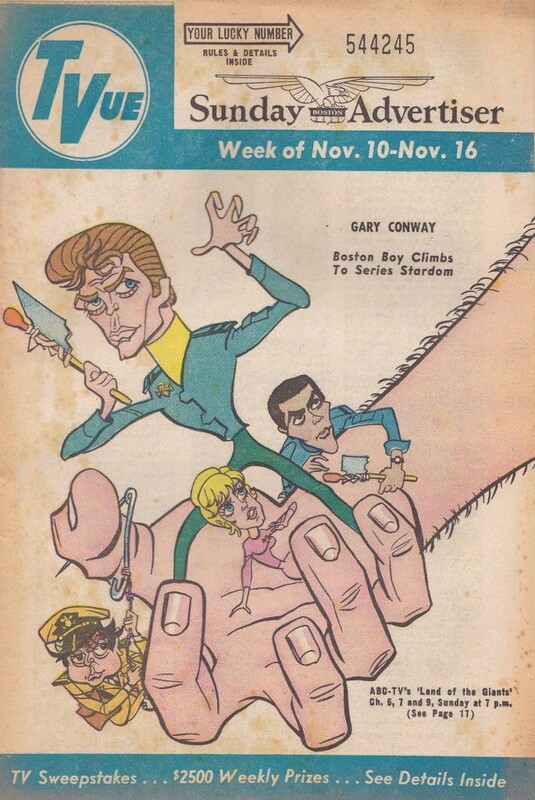 This Land of the Giants TVUE Sunday Advertiser TV guide is dated November 10-16 1968 from Boston MA. The cover features several of the cast members as caricatures. 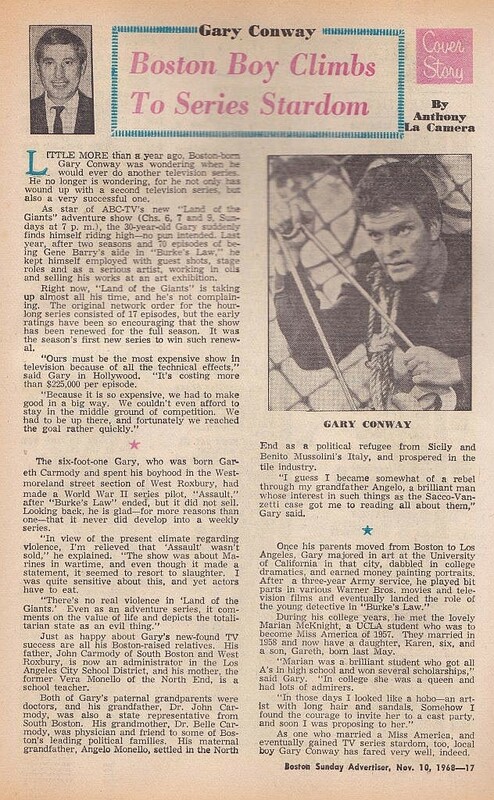 These type of TV guides are quite rare, and came inside the weekly Sunday paper. These were normally thrown out with the paper. This is the first time I've seen this particular TV guide on this classic TV show of the 1960's. I purchase this item on 3/23/02 from Dwight Strawn of Fairhaven, MA.